In the United States, the gender pay gap is measured as the ratio of female to male median yearly earnings among full-time, year-round (FTYR) workers. A hot topic up for discussion. In the recent months, Hollywood is shining some light on this on going issue. Bringing it to the forefront of many agendas. But what exactly is it? How big is the gap? How can we change things? 2015, women working full time in the United States typically were paid just 80 percent of what men were paid, a gap of 20 percent. 2015, Hispanic and Latina, African American, American Indian, and Native Hawaiian and other native women had lower median annual earnings compared with non-Hispanic white and Asian American women. Asian American women’s salaries show the smallest gender pay gap, at 85 percent of white men’s earnings. 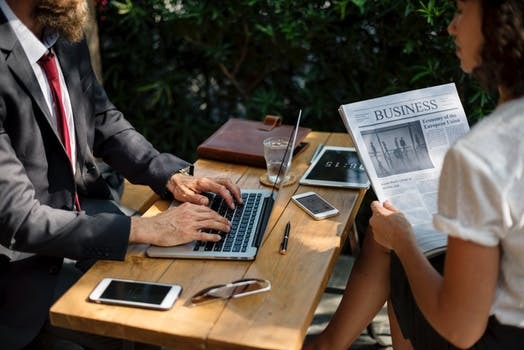 Women typically earn about 90 percent of what men are paid until they hit 35, after that, median earnings for women are typically 74–82 percent of what men are paid. Over a 40-year career, the average lifetime earning losses for women based on today’s wage gap total $430,480. These losses are greater for women of color: Latinas lose a total of $1,007,080 and African American women lose $877,480 over a 40-year career. A lifetime of earning less also affects women’s retirement security. On average, women have 50 percent smaller account balances in defined contribution plans. 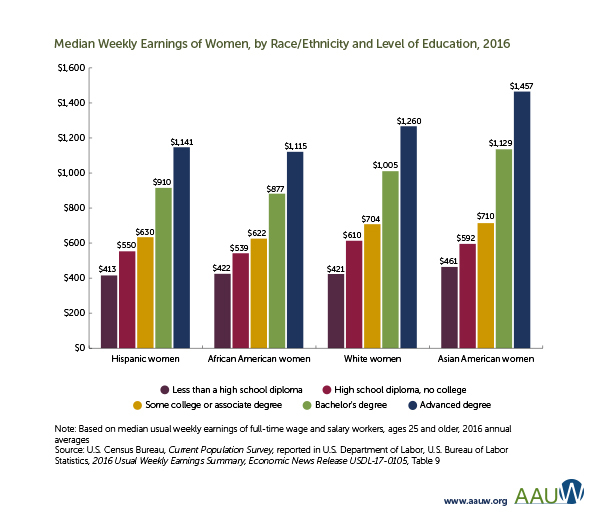 White women are paid more than African American and Hispanic women at all education levels. 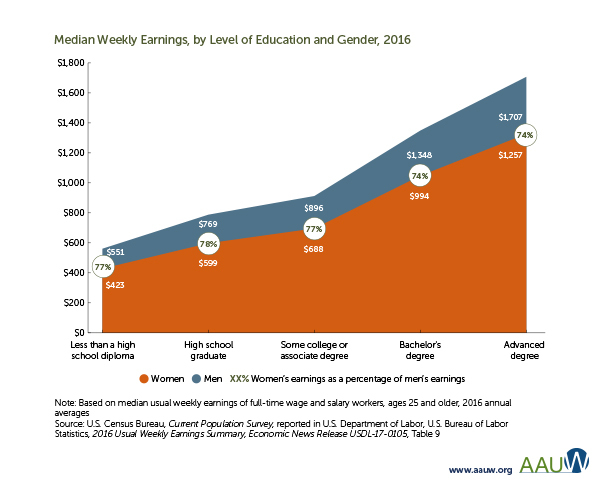 Education is not an effective gender wage gap solution. U.S. Bureau of Labor Statistics data from 2015 men make more than women in all but five of the detailed occupations: wholesale and retail buyers except farm products; police and sheriff’s patrol officers; bookkeeping, accounting, and auditing clerks; general office clerks; and data entry keyers. After controlling for gender and racial differences, 38 percent of the gap is unexplainable by measurable factors. This means that gender-based pay discrimination is still a significant cause of the discrepancy in pay between men and women. Women will have to work an additional 44 days per year to make up for the gender wage gap. I am screwed. Kidding, not kidding. According to The Simple Truth about the Gender Pay Gap (Spring 2017) my ethnicity is the lowest paid in comparison, regardless of my education. In addition to my ethnicity, I am a mother of two children, and I am only 2 years away from 35 years old (did I just admit that?). I have not been working in a full time capacity since my children were born so my retirement account suffers, and I will be dead before women will be equally paid. That is depressing AF. The Paycheck Fairness Act originated in 1997 and has been introduced in multiple capacities but has yet come to fruition. You may have hated Hillary, but having a woman in office would have made great strides to having legislation aid in closing the gender wage gap. Know your strengths and weaknesses. 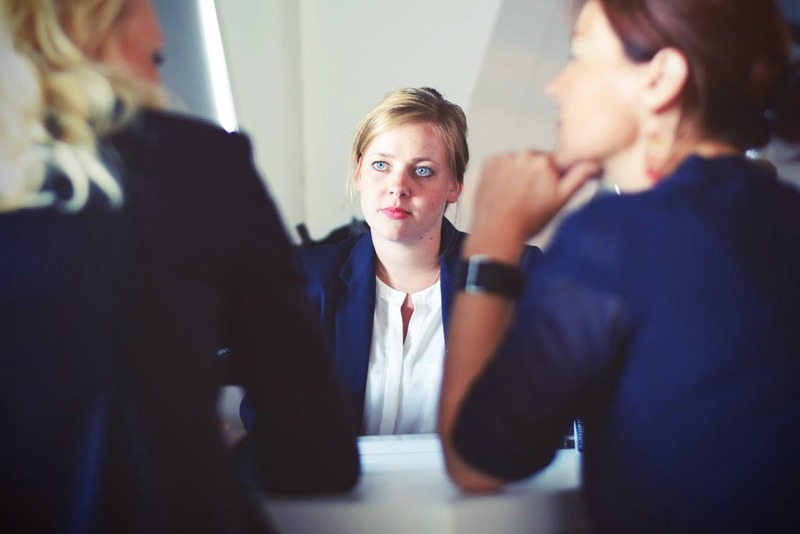 Know your audience when going into an interview. Know and trust in your accomplishments. Know what your expected income should be in your field. And OWN IT!! Don’t be afraid to ask colleagues or your tribe for critical feedback. These people know you, they will give you the honest information needed to crush it. I have been on interviews where they offered a salary and I countered, numerous times. I knew I would personally not be happy with myself, let alone my job, if I didn’t feel properly compensated. Research salary negotiation strategies, Google is an amazing search engine, there are no excuses to be uneducated in this area. Reach out to your Human Resource team. Ask them what their position is on equal pay and what policies do they have in place. Offer some information to help bring this issue to light. Continue to ask, months from now in a company meeting. Lately, this avenue seems useless. With the recent policy change, the tumultuous election, and the racial unrest, I feel at a loss. But Nevertheless, She Persisted. Contact your local elected official, start the conversation. Enlighten them with information, encourage this issue to be on the forefront of their agenda, empower each other to make a difference and close the gender wage gap. I encourage you to join the conversation. So we can collectively make a difference.